On February 3-7, 2014, representatives from government, business, community, and the general public will all join together to positively impact the global economic landscape through the celebration of business networking and the role it plays in the growth and success of business in every part of the world. 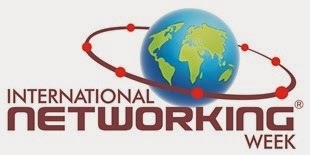 International Networking Week, occurring February 3-7, 2014, is a week centered around helping businesses in every part of the world achieve growth and success through effective networking. An initiative of BNI, the world's largest business networking organization, the Week presents an opportunity for networking groups, companies, organizations, and individuals across the globe to start 2014 by taking proactive steps to strategically use networking to promote business growth. International Networking Week 2014 will be observed worldwide through hundreds of events, large and small, in areas such as Australia, Austria, Brazil, Canada, Cyprus, England, Finland, France, Germany, Ireland, Nigeria, Poland, Singapore, South Africa, Sweden, the United States, and more. These celebratory events will feature presentations by respected networking experts, provide participants with powerfully effective networking tips and strategies for achieving long-term business growth, and give attendees plenty of opportunities to network with like-minded business professionals and entrepreneurs. Since the inaugural International Networking Week in 2007, the annual event, which is always held during the first full week in February, has gained momentum each year and has been repeatedly recognized by many organizations and governmental agencies around the world. "Different countries, different cultures, different races, different religions, different people, different places--we are all united by one thing. We all speak the language of referrals. We all want to do business with people we know and trust. Relationship networking is not only a great way to get business, it's an even better way to do business; I urge people worldwide to utilize International Networking Week to focus on doing something to improve their own networking efforts because there really is no better time than now to start strengthening your business relationships." International Networking Week is about celebrating the important role that networking plays in the development and success of business around the world; it is also about creating an awareness relating to the process of relationship networking, an approach to doing business based on building long-term successful relationships with other people. International Networking Week is open to all business professionals, tradespeople, entrepreneurs, students, press representatives, government and council representatives--anyone who would like to know more about how business networking can grow individual businesses and make a powerfully positive impact on the global economic landscape.